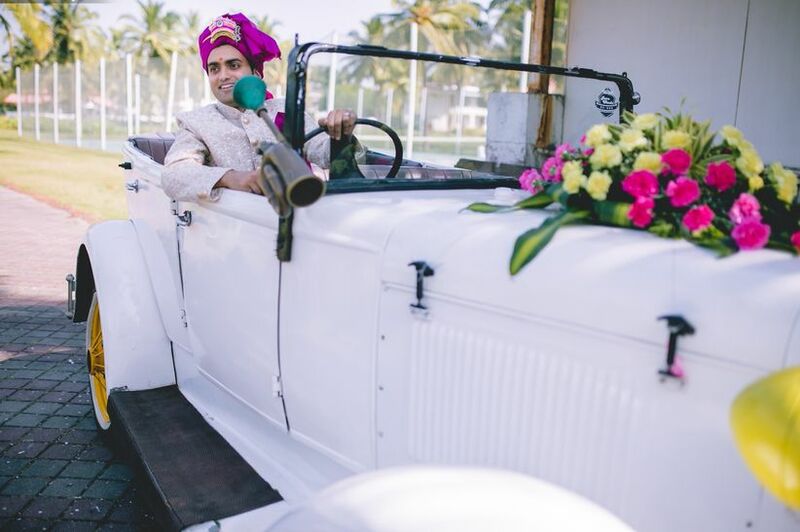 Slay in Vintage Wedding Cars to Amp up the Style Quotient of Your Big Day | Wedding Tips ARE YOU A VENDOR? 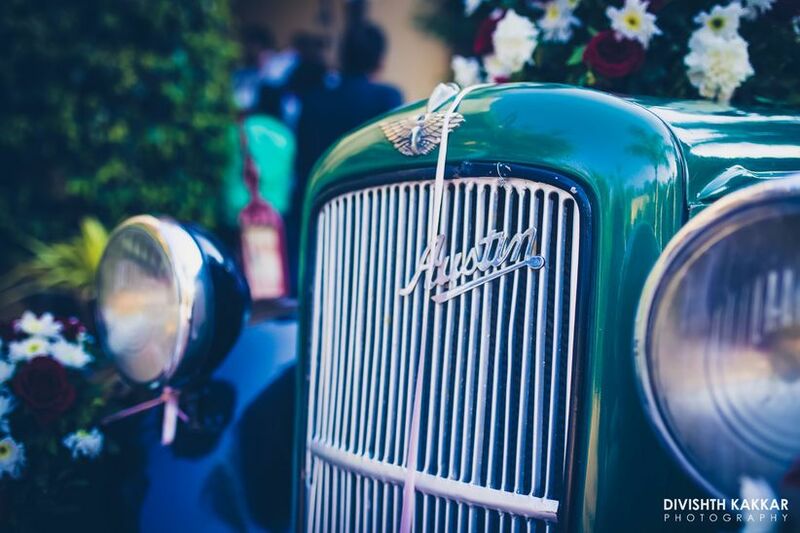 Vintage wedding cars are a powerful way to add some glamour to your happy wedding celebrations. Check out the tips below for some ideas and inspiration! Weddings are refreshingly flexible with plenty of opportunities to customise it based on your preferences. If you love cars and think including vintage wedding cars at your wedding would be an amazing thing to do, you should totally give it a shot! Wedding cars are more versatile than you think and can really add to your celebrations in the best way possible. They will bring in a dash of regality and charm while making a stylish statement. If you are having a themed wedding, adding a vintage wedding car to the mix can significantly raise the bar of the style factor of your wedding celebrations. Need more reasons to be convinced? 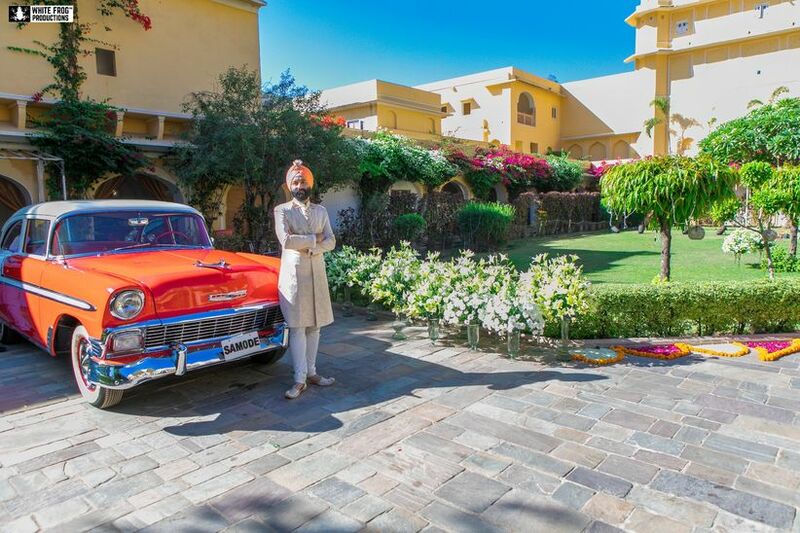 Take a look at some of the phenomenal vintage wedding cars that real couples chose for their weddings..
Want to make a stylish entry at the Barat? 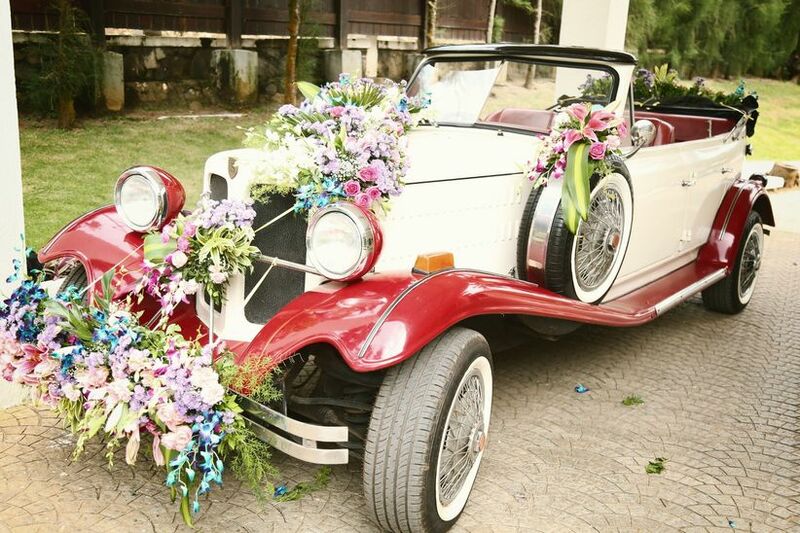 Turn to gorgeous wedding cars in classic colours for best results. You’ll be making heads everywhere you go and pull off a grand entrance. You can even get your entire entourage to enter the venue in vintage wedding cars that have been decorated especially for the occasion. Imagine how remarkable the wedding photos will look and you’ll easily manage to get everyone’s attention! This would be one groom entry that will easily become the talk of the town for its awesomeness. As is the tradition of the bride leaving the venue with the groom in a wedding car after Bidaai, put a spin on it by choosing a vintage wedding car. 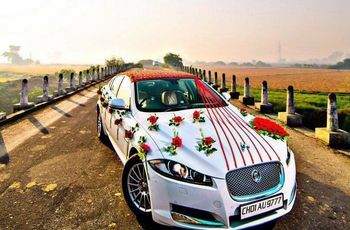 You can also opt to leave the venue with your better half in lovely vintage wedding cars that have been decorated with lots of red balloons and flowers. You can even choose to add ribbons and use other car decoration ideas like graffiti, quirky posters and stickers. 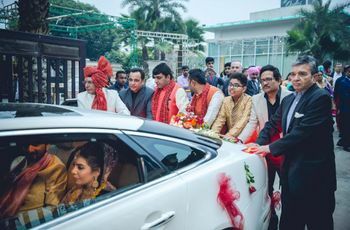 Wedding cars are extremely convenient and practical to use during celebrations. And you’d make an impression if you choose vintage wedding cars instead of a predictable option, making it a visual treat for guests to marvel at. 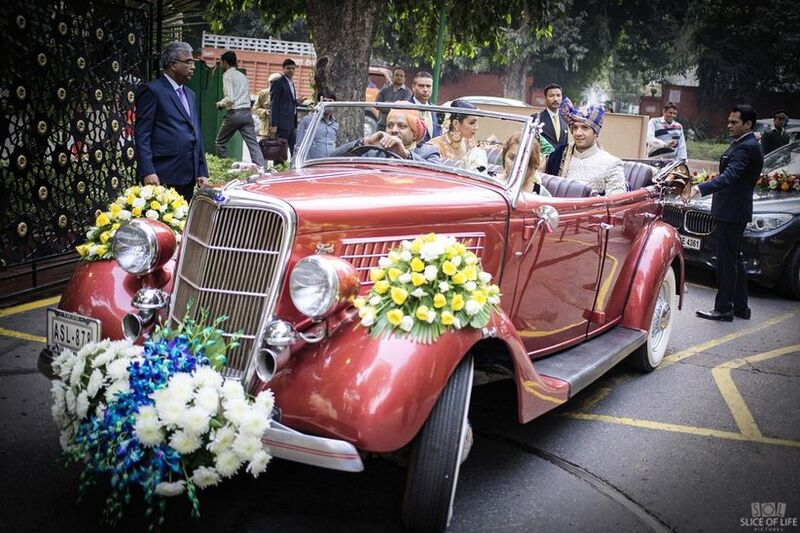 Get all the royal feels of the Maharajas in a vintage wedding car. Your photobooth at the wedding functions can take on a personality of its own. Spice things up a little by adding wedding cars to the setup. You’ll give your guests a brilliant opportunity to pose around a brightly coloured car in their fancy wedding outfits. You can even use it for candid shots with your better half at the wedding. Another option? Add sticky notes on vintage wedding cars and ask people to write a message for you and your partner which will be super quirky and a whole lot of fun! You can also consider adding funky scooters or bikes to the mix to make things even more interesting. This way, all your guests will be able to enjoy the charm of a vintage wedding car and feel more involved at your wedding. 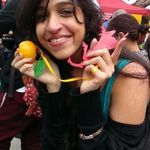 This is your opportunity to get creative and make things memorable. 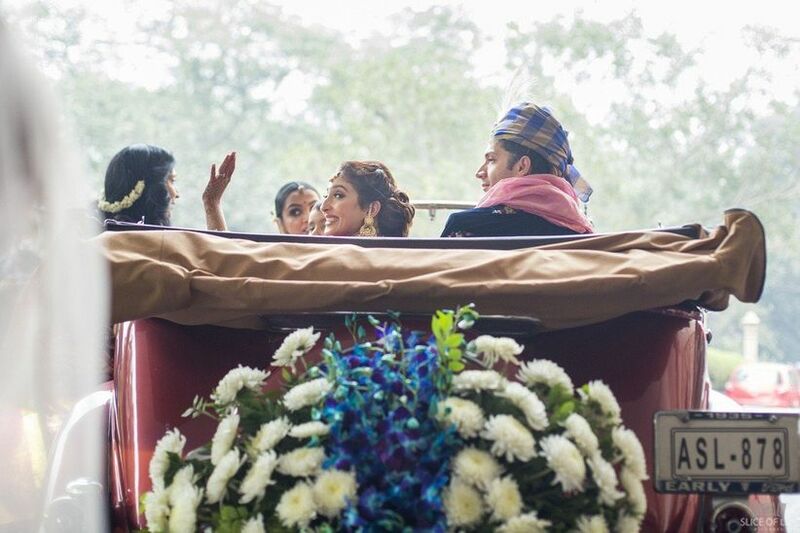 If you’re wondering what’s the best way to make your Sangeet dance routine special, use vintage wedding cars as props and get your entourage to dance around them. The combination of a song that’s a crowd favourite and beautiful vintage wedding cars will definitely attract a lot of eyeballs. If you have space at the venue for an idea like this, feel free to give it a shot. You can also use a bright car for you pre-wedding shoot to add more variety. How about breaking into a spontaneous flash mob around a vintage car for one of your pre-wedding functions. You don’t need to use wedding cars only on the day of your wedding. Consider hiring a fleet of cars and decorating them well and in a uniform manner. You can even stick photos of you and your partner, add heart-shaped props, get them painted and more. Send these vintage wedding cars to pick up guests and run wedding errands. Use them to get from point A to point B during the wedding festivities, at the wedding and after it! It’ll look impressive as the wedding entourage cruises around town in classic wedding cars. 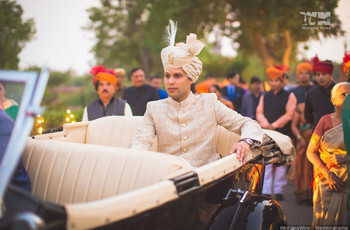 Who wouldn't want to travel in such a fancy manner for wedding transportation! 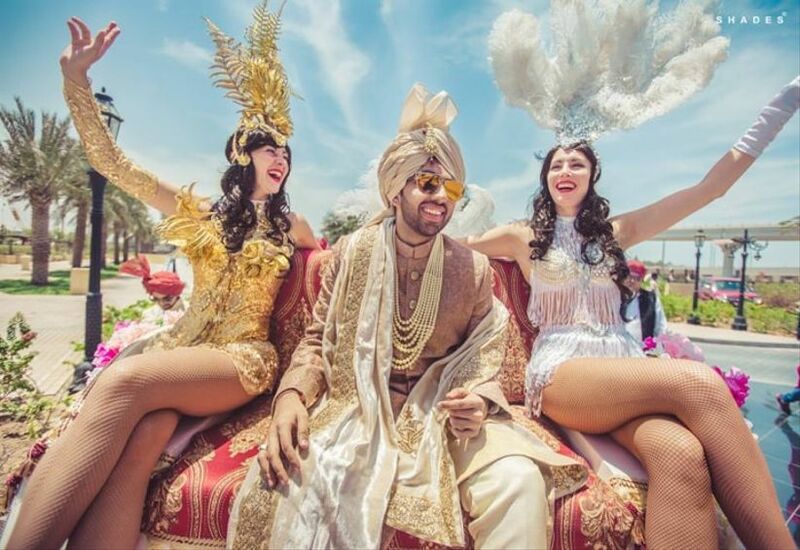 You hire them for a destination wedding, perhaps somewhere in Rajasthan? Ultimately, remember to have some fun and take chances. Vintage wedding cars will really make your photos special, and you’ll have something unique to look forward to as you surprise your guests with vintage wedding cars. They look great as props and are versatile. You can use wedding cars in several ways to make your festivities memorable! Make sure that the vendor you hire them from has all the mandatory requirements and paperwork up-to-date. You wouldn't want to get into any hassles later on. 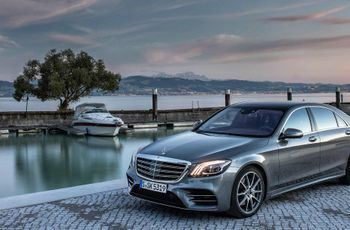 Which way of including wedding cars to your big day are you gonna choose? Tell us in the comments below.